Martin, Anne and Tina with the petition. A petition which asks the Scottish Government to amend measures which will reduce the support available, and which has gathered a thousand signatures over the last week was handed in to Cabinet Minister for Education and Lifelong Learning Michael Russell. 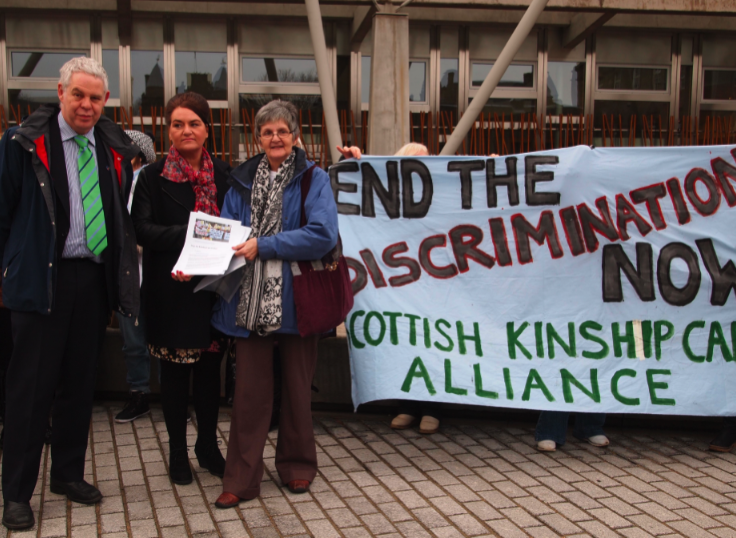 Mr Russell, along with David Blair, Head of Looked After Children policy, met with Chair of the Scottish Kinship Care Alliance, Anne Swartz, Vice Chair Tina Hendry and supporter Martin Johnstone from the Poverty Truth Commission, and assured them that the Kinship Alliance will be involved in developing the secondary legislation for the Kinship Care Order as part of the new Bill. 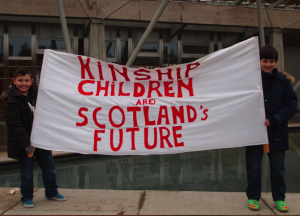 a) Reducing the number of kinship children with Looked After status over the coming years, instead placing them on a Kinship Care Order which does not entitle them to the same level of support. 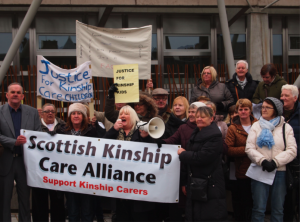 b) Limiting the number of kinship care placements which can receive financial support, start up grants and support with the court costs of obtaining an order. 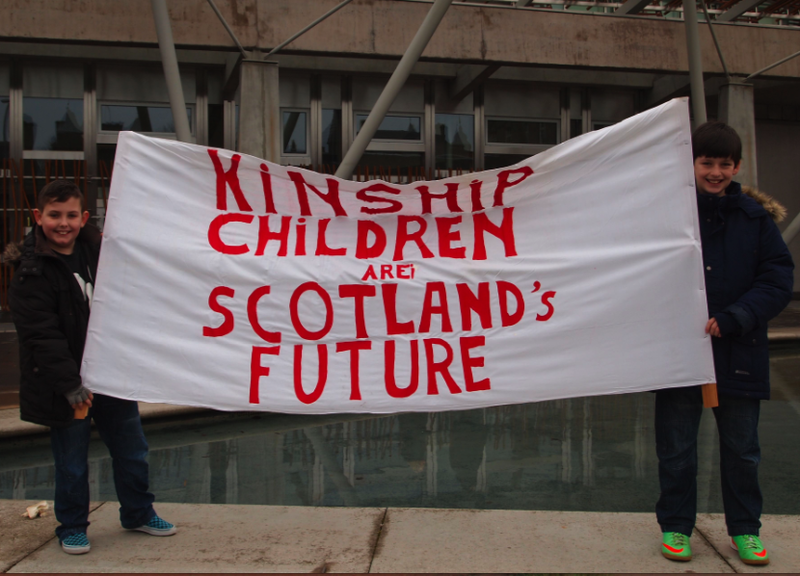 c) Failing to ensure that often traumatised kinship care children have priority access to psychological and educational support, which Looked After status currently entitles them to. d) Failing to ensure that Local Authorities provide a minimum financial allowance to all kinship care families to provide for the basic costs of childcare. 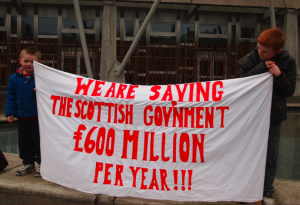 The Financial Memorandum of the Bill openly states that the measures suggested will save the Scottish Government and local authorities money over the coming years, rather than increasing the investment into kinship care, which a variety of agencies claim is currently under-supported. 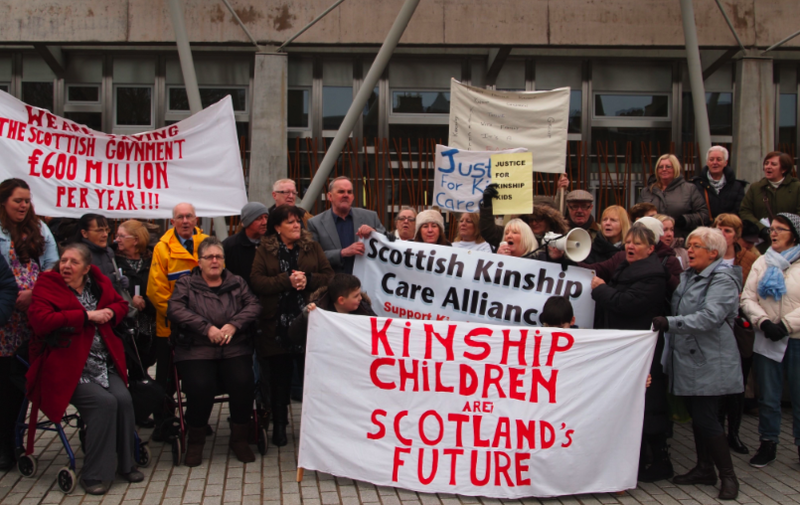 Three groups of amendments have been put forward by Jayne Baxter MSP with the support of the Scottish Kinship Care Alliance. They aim to amend the Bill to legislate for a minimum level of financial support for all kinship care placements, and increase the age of eligibility for support from 16 to 18. 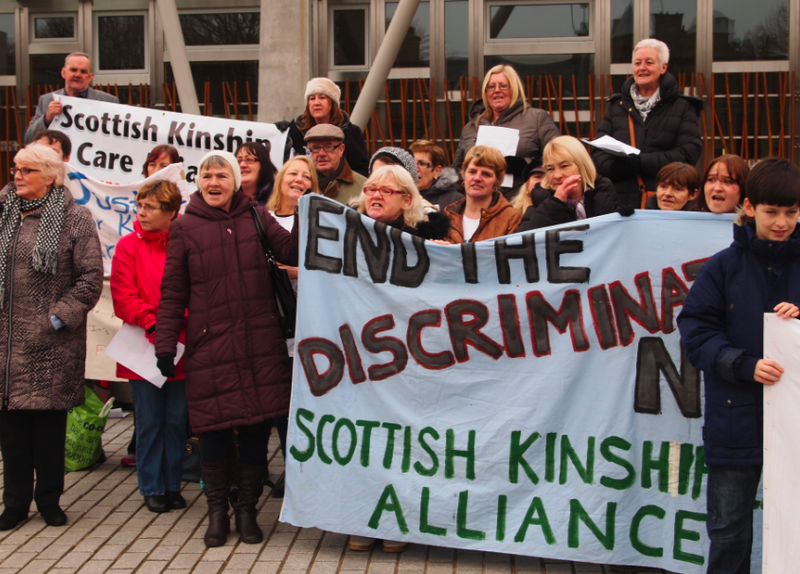 There are at least 20,000 kinship carers in Scotland (or 1 in 71 children in Scotland), and the majority of these suffer poverty and distress caused by taking on extra children according to the Buttle UK’s comprehensive 2013 report ‘The Poor Relations‘. Most of these placements are informal, i.e unsupported by the Local Authority, and Buttle UK claims that each informal kinship carer saves the taxpayer between £23,500 and £56,000 a year, despite many of these carers finding themselves in poverty, with 31% of these families unable to provide all of the eight basic items that most of us consider necessities, such as heating and winter clothes. Midlothian Advertiser – What about Midlothian’s kinship carers?